"Pizzeria Bianco will be closed June 15-19 as we are participating in the Great Chefs Event benefiting Alex's Lemonade Stand in Philadelphia. We will re-open Tuesday, June 22 at 5:00 pm. For more information, please go to alexslemonade.org. We apologize for any inconvenience." What are the chances that they are closed the one weekend that we were visiting. Sadness. After lamenting my loss, I looked up for some other eating options for us. 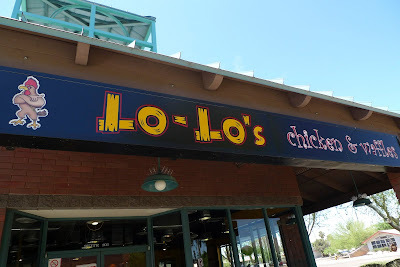 I came across Lo-Lo's Chicken and Waffles. We have Roscoe's Chicken and Waffles in Southern California and from the reviews, some were saying it was even better than Roscoe's, so I had to see for myself. Thankfully there was a location pretty close to our hotel. We sat down to huge mason jars of water. 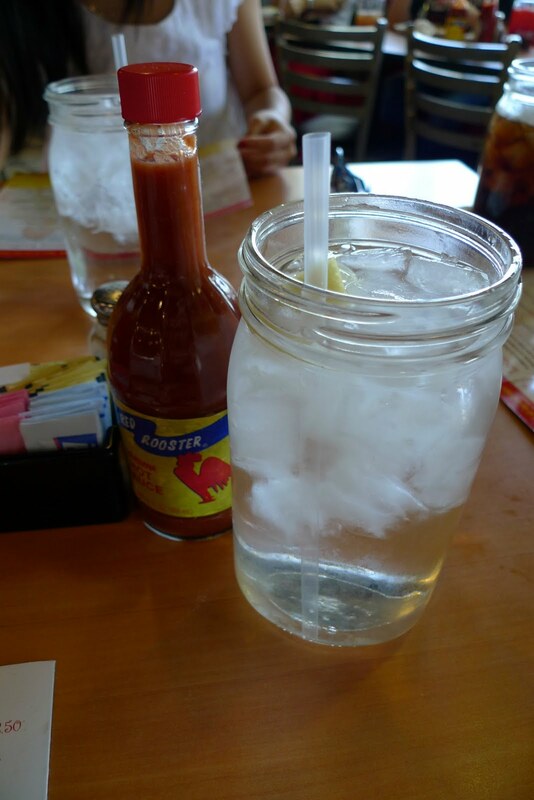 They also serve kool-aid and sweet tea in these huge jars. We got a bunch of items to share. 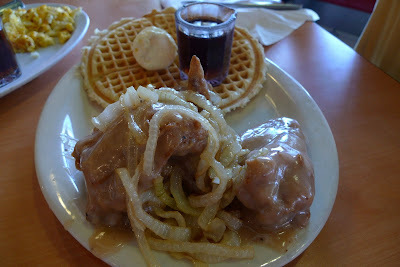 Here is a plate of the Baby Ray (3 pieces of chicken smothered with gravy and onions with 2 waffles). Susan thought the gravy with the chicken was not such a great idea because the crispiness of the chicken as well as the taste was masked by the gravy. 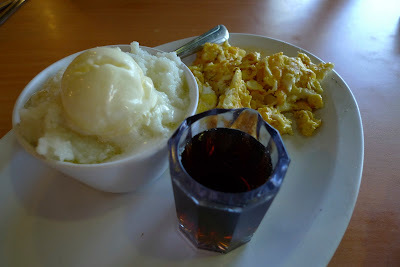 We also got the KK's ( 3 pieces of chicken, 2 waffles, grits and 2 eggs with cheese and onions). I ordered the KK's solely for the grits and eggs. Look at that scoop of butter on my grits. No wonder it tasted so good. 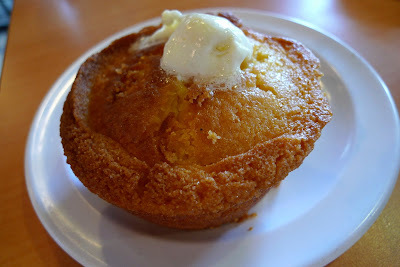 We also shared an order of corn bread, which looked like a giant muffin. 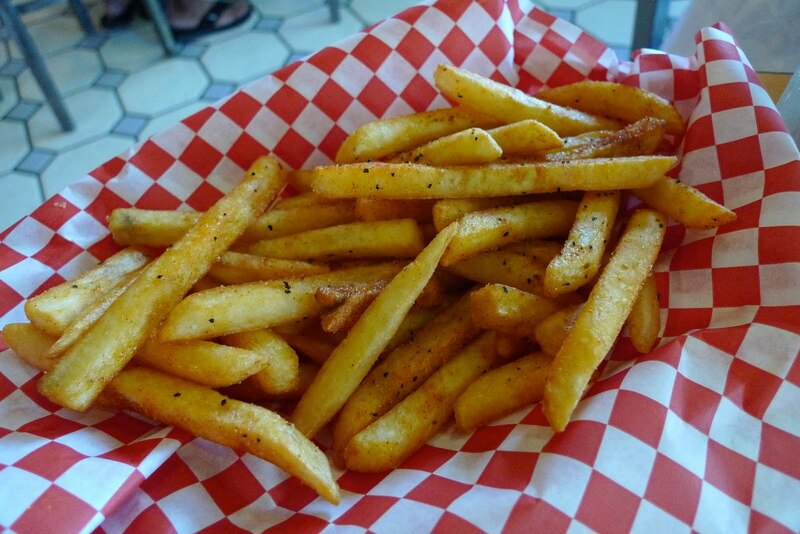 We also got a basket of fries, which were perfectly seasoned. We found however that these were mighty tasty dipped in the gravy and onions. So what was the verdict? 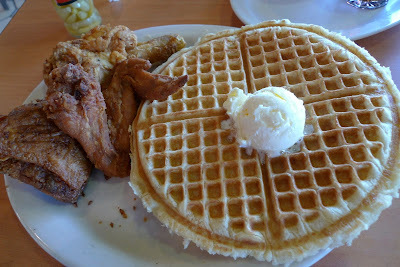 I thought the chicken is better at Roscoe's, it's crispier and more flavorful from what I remember. 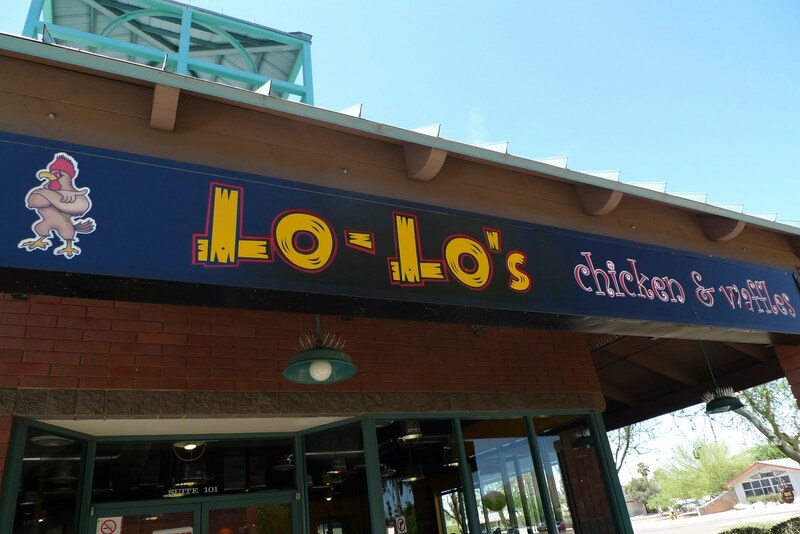 The waffles however at Lo-Lo's are crispier, which I prefer. Roscoe's waffles are thinner and chewier, like Eggo's, but Lo-Lo's have a bit more texture to them. I guess it all depends on how you like your waffles. All in all, you really can't go wrong with fried chicken, waffles and maple syrup. I just found out that Chicago is also home to chicken and waffles and it's aptly called Chicago's Home of Chicken and Waffles. haha. I can't wait to pay them a visit soon.